Previously in this discussion of what we can do about economic contraction, we reminded each other than the economy is basically the sum total of transactions between people. At that same basic level, “money” is simply the markers we use to record those transactions. There is no mandate that transactions between people can only be counted via one kind of marker. In fact, plenty of perfectly valid and life-supporting transactions can be accomplished without any markers at all. 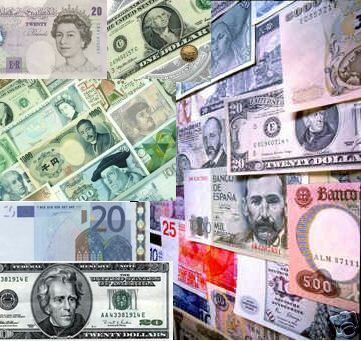 We have grown up accustomed to a monoculture of the national currency (U.S. dollars, British pounds, etc.) but -- just like in agriculture, just like in human culture -- for a resilient future we'll be much better off with a polyculture. This post is an excerpt from a longer paper, "Economic Resilience," which is being posted online in serial form. Links to the full document can be found here. Peter North shared a brilliant vision in his book, Local Money: “We can see a LETS scheme or time bank being used for local production and exchange of things we can produce at home or in a local community ... More complex goods would be produced by local businesses, perhaps using a local or regional scrip ... or a business-to-business exchange. More local production could be developed using local currency loans, or through a local bank ... Special-purpose currencies could finance local food production and Community Supported Agriculture, and local power generation ...” All of this will probably operate parallel to a national currency that handles the few out-of-area trade transactions. In other words: multiplicity. Instead of one financial vehicle, the old U.S. dollar, we’ll have many ways to facilitate economic exchanges between people. If one of those financial vehicles is encountering temporary problems – for instance the U.S. dollar suffering extreme inflation or extreme deflation -- we’ll have other financial vehicles to fall back on. One of the scarier parts of the Depression of the 1930s was when banks closed. People were no longer able to access the cash which facilitated all the doings of everyday living. If our cash is all in one place (Big Banks), we are in very serious jeopardy. If our finances are maintained through a wide diversity of vehicles, we have a lot more resilience built into our system. Different financial vehicles will attract different pools of participants within your community. Your local sharing arrangements will attract individuals. Your local bartering systems will attract mostly individual households and proprietorship businesses, perhaps with greater emphasis on services than on goods. A local currency will work nicely for local businesses because it functions in predictable accounting units like the national currency. But local currency isn’t for everyone. Rob Hopkins et al spent a bit of time getting Totnes businesses interested in accepting their local currency, the Totnes pound. At first this puzzled me because in my own neighborhood there are lots of chain stores. Striving to get the chain store type of business involved in our alternative finances is moving in entirely the wrong direction. We must recognize that the chain store is a doomed animal, if for no other reason than its dependence upon cheap consumer goods transported worldwide by cheap oil. As such, chain stores are not part of our safety net, and there is no need to try to fold them into our new, expanded financial structures. A local community can easily begin to set up a diversity of financial vehicles. Which one should your community have? To share the wisdom of Vidya Chaitanya of Transition Mar Vista: a community may one day need all of these. Start with the one that feels easiest to do right now, given your community dynamics, your people resources, and your community needs. small-scale, easy-to-set-up, neighborhood-level sharing ideas. These may include carpooling networks or informal childcare co-op arrangements, pet care co-ops, elder care co-ops, etc. They may include garden sharing (you can piggyback on the established friend-finding network GrowFriend), tool sharing (example: Portland), neighborhood libraries (example: Los Angeles), book swaps, seed swaps (how to), small food co-ops (how to: Los Angeles EcoVillage), group purchasing. Simple sharing arrangements are a great entrance point into alternative finances, because they’re very easy to set up. They get community members accustomed to dealing with each other in a new way (outside the US dollar transactions), which can open the door for other financial vehicles. They can be fun and delightful in themselves, and grow the spirit of the community. See The Sharing Solution by Emily Doskow and Janelle Orsi for great ideas. Basic barter: a basic cash-free exchange. You walk my dog; I wash your car, transaction complete. Basic barter breaks down if you don’t have what I want: for instance I wash your car but I don’t have a dog for you to walk. It also breaks down if there is a significant valuation difference between the items being exchanged. Thus more sophisticated bartering quickly becomes necessary. Time Banking: Time banking is a form of sophisticated barter. As you perform tasks within the community, you “bank” hours which you can spend on things within the community as a whole. I wash your car, you walk Mary’s dog, Mary bakes Ted a pie, and I trim Ted’s bushes. Within the system we are whole. Usually a computer is used to track the credits, but it can be done manually as well. Time banking is best for exchanging services; since the basic unit being exchanged is an “hour,” you have to invent a local protocol for when you try to exchange goods. In Ithaca, New York, they printed physical paper Ithaca Hours to exchange; their system has attributes of time banking and local currency, combined. Time banking proprietary software is somewhat “plug and play,” but your community will incur an ongoing fee in U.S. currency. I hesitate to recommend this given the content of the Stoneleigh lecture. (note: Before you sign up with the U.S. proprietor of the Time Banking software, please do your homework and learn about the company). LETSystems (Local Economic Trading Systems) are very much like time banking, except that (1) the software is open source, thus potentially free to your community; and (2) the valuation of each credit is set by the individuals who are making the exchange transaction, thus there is much more flexibility. Edgar Cahn’s book No More Throw Away People emphasizes how bartering systems can be used to reward and cultivate previously undervalued services within a community. Examples he gives are care for the elderly, neighborhood watch, volunteerism, and more. These jobs are necessary to make a community functional, yet our U.S. dollar system dismisses them without value. Neighborhood bartering networks are a chance to bring these necessary-yet-undervalued skills into the local economic sphere. The Peter North vision includes business-to-business exchange. A Google search for “business to business exchanges” pulled up several existing networks. I have not reviewed any of them, but as your community begins to need it, know that some networks do already exist. Local currencies are perhaps the most high-profile of these suggestions. They gain the most press, they command attention, but they also represent a huge step up in both complexity of setup and cost to create and run. If your community is considering creating a local currency, please refer to Peter North’s Local Money to understand the foundational decisions you will need to make – including fiat, demurrage, security features, circulation, mutual credit, backed currencies -- so that your currency will work well for the specific needs and issues of your community. My review of his book is here. For managing those U.S. dollars that we do have, community banks are typically more in touch with the unique culture and needs of their local neighborhood. Hopkins and North don’t mention them because apparently community banks have vanished in the UK, but we still have a few here in the U.S. Find out if your neighborhood has one http://www.icba.org/consumer/BankLocator.cfm Support them, educate them, and fold them into your Transition activities. more in the next post about community-based investments.